Welcome to North Castle's Romance Fan-Fiction Archive. I love nothing better than reading a good love story and we have an excellent selection awaiting you here. 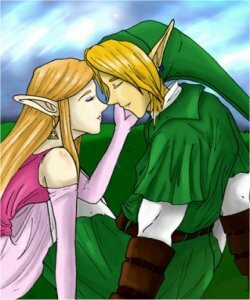 Most are about Link and Zelda but there's other lovely stories with other pairings in too, and of course not all of these have a happy ending. If you're a romantic at heart, you're sure to enjoy this section best. That's Why You Can See Me!